Introducing the IMDbPro app for iPhone and Android. Exclusively available for use by IMDbPro members, the app empowers members with the ability to search the profiles of more than 4 million people, access the latest industry news, get contact and representation details for more than 300,000 industry professionals and tap through to call or email directly from your phone. 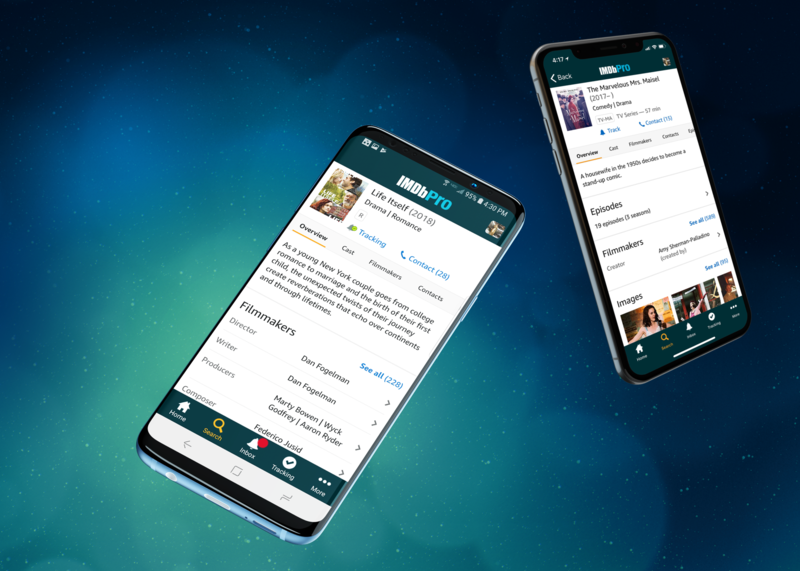 The IMDbPro app also offers the ability to quickly locate and contact the most reliable resources for reporting harassment and inequality, working to create safer work spaces across the entertainment industry. Have questions about the new app? Please visit the IMDbPro App FAQ page for some quick answers.